If you're as tired of plotting on plain ol' notebook paper as we are, invest in this Scribbler-exclusive "Story Board" to help you plot out the intricacies of your novel. 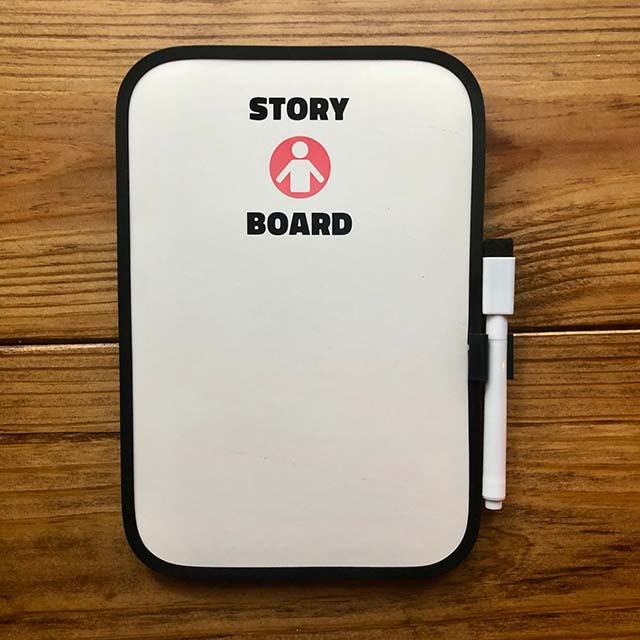 This 6" W x 9" H dry-erase board will be your best friend as you start constructing your story's details. And to answer your question, yes, it does indeed come with the marker and eraser.